View cart “Little Bo Peep and more…” has been added to your cart. Little Pip liked it when her family was just three. But now the egg seems to be all her parents can think about and Pip can’t understand why. Her parents are very excited about the egg and tell her this new change will make their family “just right”. But Little Pip isn’t so sure… she thinks her family is just right the way it is and a boring old egg can’t make it any better! All through the long, harsh winter Pip’s parents look after the egg, keeping it warm and safe. 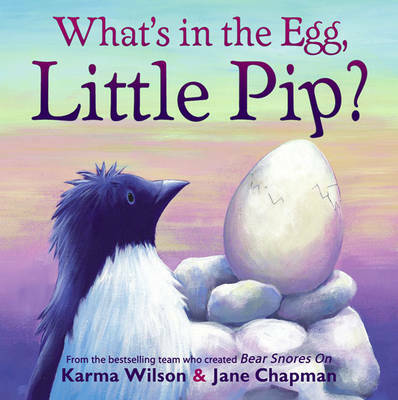 Little Pip learns to help as much as she can, even though she still doesn’t know what all the fuss is about… until, one day the egg cracks open, and Little Pip meets her new baby brother for the first time! An adorable and reassuring story, perfect for introducing the idea of a new baby coming into the family.